Using the Centor technology, the Centor Easy TT digital torque gauges have a very large graphic display and show a maximum amount of information for more efficient measuring: they show the current reading and the peak value at the same time, and a bar graph to show the operator whether they are close to their maximum capacity. If necessary, the backlighting can be used to further enhance reading comfort. 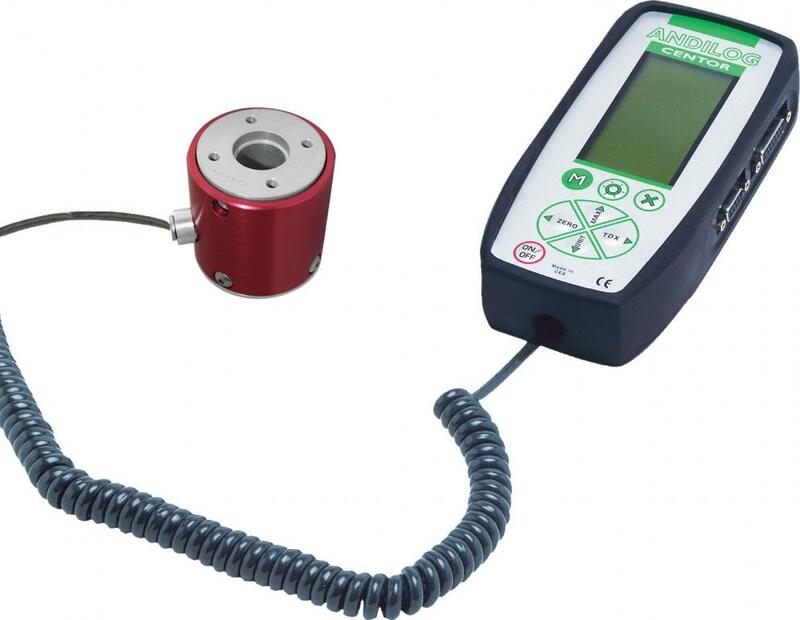 Mounted with a non removable external reaction torque sensor, it is the ideal torque gauge to integrate a torque sensor into your own test system. Application range: fastener testing, engine testing for automotive and aerospace, automotive break testing, and medical testing. Using a standard reaction torque sensor, the torque gauge Centor TT is ideal to be integrated on a torque bench or in a torque tester. It can display the curve of the test, peak torque and current torque in the same time.